Sidney Poitier photographed by Gordon Parks, 1959. Sidney Poitier & Diahann Carroll at the Bois de Boulogne in Paris (1961). Do write a comment if you know who the photographer is. 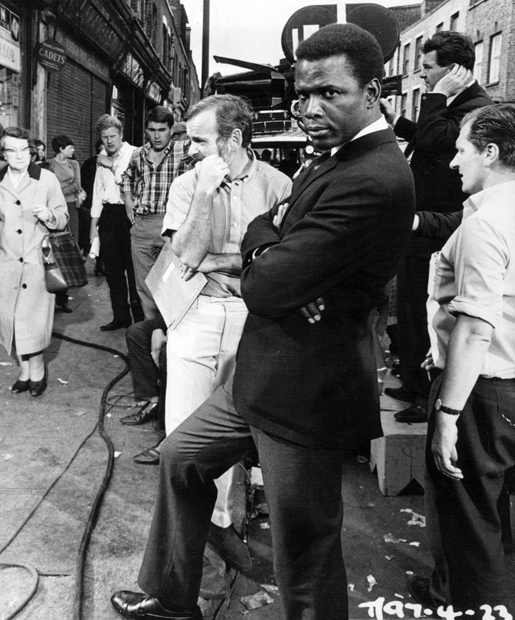 Sidney Poitier between scenes of To Sir, with Love (1967). Sidney Poitier, Harry Belafonte and Charlton Heston march together. 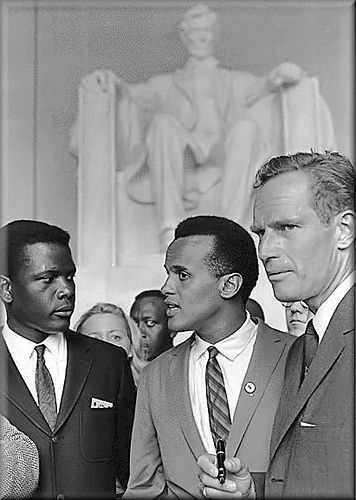 Sidney Poitier, Harry Belafonte and Charlton Heston at the 1963 Civil Rights March in Washington. Posted on June 27, 2014 June 21, 2014 Categories JuneTags 1963, Charlton Heston, civil rights march, Harry Belafonte, Sidney Poitier, Washington1 Comment on Sidney Poitier, Harry Belafonte and Charlton Heston march together.